Misses Stoops-Cleymans was born in Evere in 1944. Her mother, Jeanne Cleymans, had previously worked as a cook at the kosher restaurant "Ringer" at Rue Saint-Michel 21 in Brussels. "Ringer" had opened in 1935 and was property of the French-Polish couple Marcelle Kosmann and Izak Spira. The restaurant was named after Izak's mother Gittel Ringer and was located at the back of the building housing the Atlanta hotel, where the father of misses Stoops-Cleymans worked. 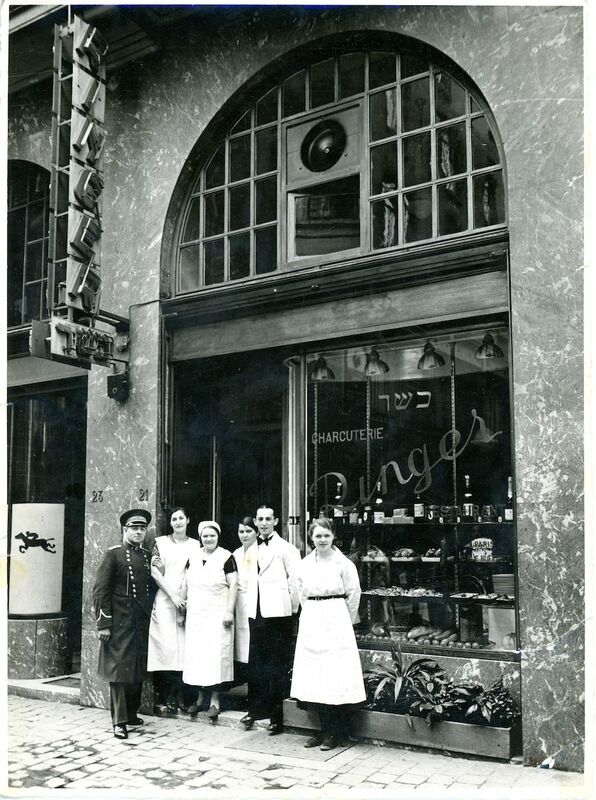 While working at restaurant "Ringer" Jeanne Cleymans smuggled food out to give to Jewish friends of hers (names unknown) who were in hiding. When Izak Spira caught her, he gave her permission to take a bag of food from the restaurant every week. Izak Spira was deported from the Dossin barracks via Transport XIV in 1942 and perished. His wife Marcelle Kosmann, his former cook Jeanne Cleymans and Jeanne's husband survived the war, as did Jeanne's Jewish friends in hiding (names unknown). Misses Stoops-Cleymans, daughter of Jeanne Cleymans, found the photos in this collection in her mother's photo box and donated the originals to Kazerne Dossin in 2012.